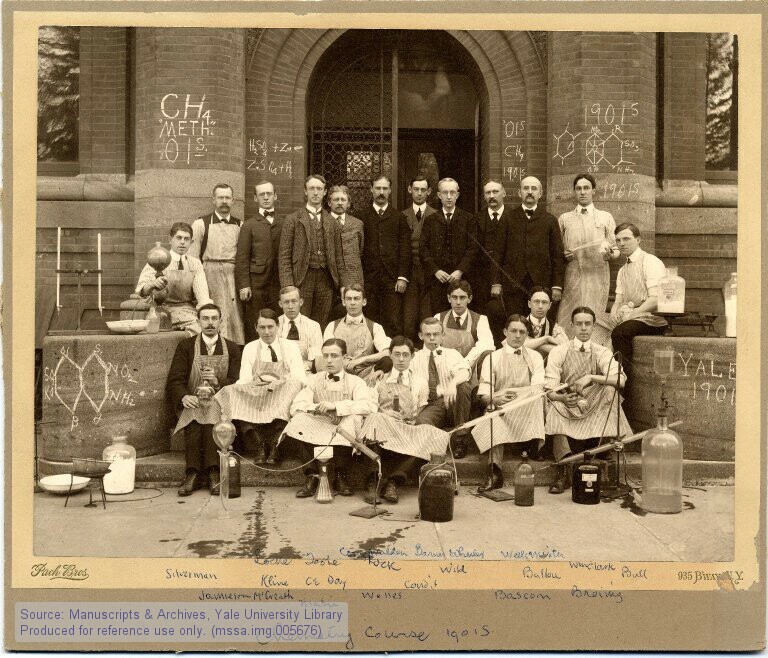 The Yale Scientific Magazine, established in 1894, is the nation’s oldest college science publication and the premier science publication at Yale. The Yale Scientific Magazine remains committed to the ideals of scientific journalism: to serve the Yale community by presenting the scientific, medical, and engineering activities at the University in an honest and unbiased manner. Most modern scientists agree that life originated only once. The unique blend of chemicals and energy sources that formed the “hot thin soup” of a younger Earth was the key to the origin and development of life. These conditions have not since been repeated. Similarly, the unique blend of ingenuity, ambition, and intelligence, combined with the infatigable energy that has characterized Yale’s student bodies for nearly three centuries have been the sole birthplace for all types of college publications. 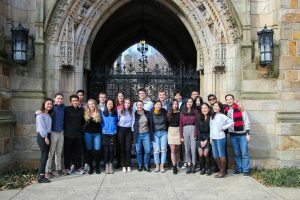 With the nation’s oldest college literary magazine, humor magazine, yearbook, daily newspaper, and science magazine, Yale students have been leaders in the founding and production of college publications. Today, there are about thirty different student publications at Yale, dealing with everything from philosophy to campus news to international affairs. This abundance was not always the case at Yale. In fact, Yale College’s first century passed without seeing any undergraduate publications. The silence was broken on November 15, 1806, when undergraduates created The Literary Cabinet, an eight-page biweekly, to raise money to assist self-supporting students. It lasted only until October 1807. The next attempt was in 1814, with the formation of The Athenæum. This publication lasted only six months, but apparently served as an inspiration for other adventurous students to create their own publications, and many magazines were begun in the ensuing years. Next came The Microscope, and then The Sitting Room, both of which had a very heavy literary tone. Sensing a need for a forum for humor, satire, and criticism, a group of students put together The Yale Crayon in 1823. The Crayon was neither taken seriously nor found funny. Unappreciated, it did not last long. It was, though, the forerunner of The Record, founded in 1872, and thereafter considered a legitimate forum for criticism through satire by students and professors alike. The Record is still in print at Yale today. Some of the other publications to come out of Yale in the mid-nineteenth century were The Little Gentlemen, The Gridiron, and The Medley. The Monthly was founded in response to “the rapid growth of the Scientific School, and the important position it was attaining in the affairs of the University” which, according to a YSM writer in 1901 “naturally suggested to Sheff men interested in literary work . . . that the establishment of a representative undergraduate periodical in the institution would be consistent with the progress along other lines.” One of its main purposes was to be a comfortable medium in which Sheff students could develop their writing skills, something many Sheff graduates had complained to not have done in their undergraduate years. Senior members of Sheffield 1895 sough the advice of literary instructors, and certain Sheff faculty, and subsequently formed YSM. For 18 years, the Monthly was an opportunity for young scientists at the Sheffield Scientific School to act as journalists. In the process they kept the rest of the Yale community informed about important and interesting developments in all scientific departments at Yale, and in the general scientific community. 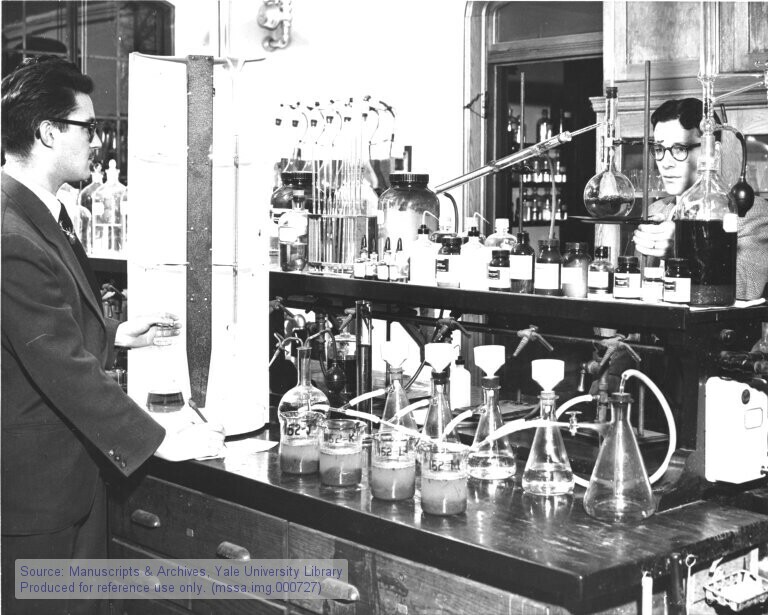 It was of a high quality, and served as a model for the development of college science magazines at other institutions. As a serious scientific journal, YSM’s success was marginalized. Yale College students were seldom to read scientific works to relax. Sheff men needed escapes from and not supplements to their science-packed schedules. Nonetheless, it continued to rise in the estimation of Sheff students. The staff consisted of members of the Sheff who had “heeled” the magazine. “Heeling” was one of Old Blue’s [Yale’s] many traditions that have long since vanished from practice into lore. Common among many organizations, heeling competitions were held periodically as a means of determining staff members. Heelers were told to purchase a Yale Co-op Heeler’s Notebook, and rent or buy a bicycle for the competition. They were then assigned tasks in every aspect of the magazine’s operation, and were graded on a point system. The point total and general quality of the heeler’s work were the criteria used in judging him as a perspective member. If a member won several heeling competitions, he would be entitled to a “charm.” Board membership was granted upon the attainment of a charm, which was also awarded to select students who consistently contributed quality works to YSM. The Graphic was well-received at first, but within a few years it became clear that there was no variety to be found in subject matter, though the names of the students were changing. In addition, the quality and quantity of the literary works gradually decreased. Within five years of the publication’s beginning, it had become defunct. The name change proved an insufficient guise for the continued low quality of the content. No trace of the original Scientific Monthly was seen for three years. The magazine was received surprisingly well, and 75% of graduate and Sheff students had subscribed by the time the first issue was printed, with a circulation of 1,900 magazines. Yale President James Rowland Angell commented that “The Yale Scientific Magazine is an admirable achievement which reflects great credit on the Sheffield Scientific School, and especially on the Board of Editors.” Sheff Dean Charles H. Warren expressed confidence that YSM would “serve as a medium through which the scientific work which is being done in the various departments of the University will be brought to the attention of a larger audience, receive a wider recognition, and awaken a greater interest in this important field of Yale’s intellectual life. Since 1927, the magazine has stayed continuously in print, with few major changes in format. [The The was eliminated from the title in 1952.] The content of the magazine, however, has changed a good deal. From 1927 until the mid 1960’s, the majority of the feature articles were solicited from Yale faculty members rather than students. Many articles were also written by the chief executives of large-scale technical and engineering companies. There were also articles written by presidents of Yale, deans of the college and the Sheff, military officers, and political figures, such as the U.S. Surgeon General and the Secretary of Health. Yale Students ran all of the editorial and managerial affairs of the magazine and wrote news briefs and editorials. This gradually changed, and by the later 1960’s, students were writing all the articles and still running the other operations. The focus of the article has varied with the times, and with Yale’s development in the sciences. The late 1920’s and the 1930’s concentrated on applied physics and engineering. The following decade was dominated by war-related sciences. The 1950’s saw a revival of the applied physical sciences, culminating in the feverish space race. The 1950’s also served as a prelude to the burst of biological studies in the 1960’s, fueled by Jonas Salk’s polio vaccine, the elucidation of the DNA double helix by Watson and Crick, and other emerging techniques. In the late 1960’s and early to mid-1970’s, YSM concentrated on sciences related to the Vietnam War and in other heated social issues. This pathway culminated with the exploratory microanalytical studies in the natural sciences encountered in the last decade or so. Today, Yale Scientific Magazine strives to narrow the gulf between the sciences and humanities at Yale. It is a forum for scientists to develop the art of written communications, and for nonscientists to get a taste of the fascinating research found at this University. More importantly, the magazine hopes to unite the various science departments in a common knowledge of each other, as well as to depolarize the undergraduates who are often obsessed with or aloof from the sciences. Either extreme is antithetical to a liberal arts education. William Burns (MC ’20) is a Neuroscience major from Rochester, NY. 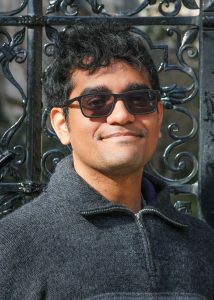 He has previously served as Articles Editor and Copy Editor for the magazine. As Editor-in-Chief, Will hopes to continue to make scientific research accessible to a broader audience. Outside of his involvement with YSM, Will researches neuronal motility in the Forscher lab, volunteers with Yale Alzheimer’s Buddies and Yale New Haven Hospital, and plays on club golf. In his free time, he enjoys exploring museums and curating his Spotify playlists. Conor (DC ‘21), hailing from the Chicago suburbs, is a Neuroscience major. When he’s not working on the Yale Scientific, you can find him pitching for the club baseball team or researching immune metabolic pathways in the Sansing Lab at the Yale Medical School. During his free time, Conor enjoys DJ-ing for his radio show, watching basketball, and creative writing. 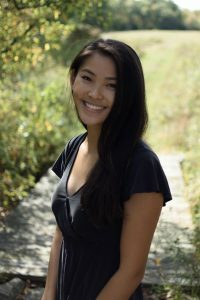 Sunnie Liu (JE ’21) is a double major in Art and History of Science, Medicine, and Public Health who was born in Suzhou, China but grew up in Houston, Texas. Outside of the YSM, she gives tours and curates at the Yale Center for British Art, leads art therapy at Yale New Haven Hospital and Connecticut Hospice, and teaches mental health workshops to New Haven public high-schoolers and fellow Yale students. During her free time, she can be found museum hopping, getting lost in Haruki Murakami books, or dragging her friends to film screenings. 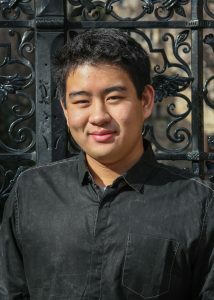 Marcus is a sophomore in Trumbull College from Penang, Malaysia. A chemistry major, he studies peptide-catalyzed asymmetric reactions in Prof. Scott Miller’s lab. 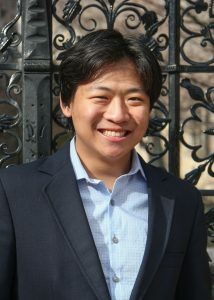 Outside of YSM, he is co-curator for TEDxYale, and enjoys exploring nature off campus. Lukas is a sophomore in Pauli Murray College studying Molecular, Cellular, and Developmental Biology and Computer Science. Apart from being an avid climber on Yale’s Climbing Team, he also conducts research on transposable elements in the Breaker lab. He is also an undergraduate learning assistant for CS201, involved in the Yale Undergraduate Research Association, and teaches for Yale Splash. He loves the hiking and backpacking, jazz music, and whistling along to some Joe Swensen as he practices pool in the Murray buttery. 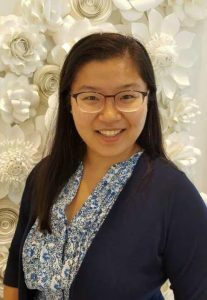 Anna Sun (JE ’21) is a Molecular, Cellular and Developmental Biology major from Memphis, TN. She has been a staff writer for the Yale Scientific Magazine since her first semester at Yale and believes in the importance of not only keeping up with the forefront of scientific research, but also presenting the news in a clearer, more accessible manner for the public. Anna hopes to study the interaction between technology and medicine in order to improve healthcare. 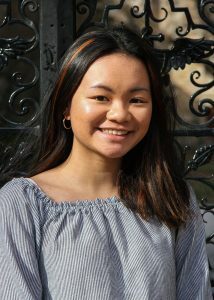 Outside of YSM, she is a representative of the MCDB Student Advisory Committee, dances with Danceworks, and loves to spend time with her friends discovering the food scene in New Haven. James is a first-year in Trumbull College from Temecula, California (near San Diego). 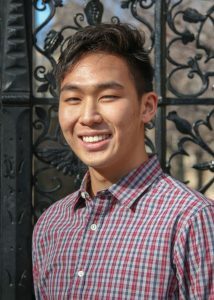 He is a prospective Statistics and Data Science major with interests in biochemistry and genetics. He is currently working in the Zhao lab on biostatistical analysis of complex diseases. 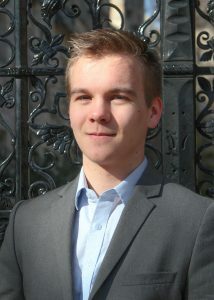 James also sings with the Yale Russian Chorus and plays on the club squash team. In his free time, he enjoys playing video games, reading, taking photos, and napping. Lauren is a sophomore in Timothy Dwight college and potential neuroscience major from Dallas, TX. She is a starter for the women’s varsity fencing team, volunteer for Elder Horizons at Yale New Haven Hospital, and former member of the Resonance board. In her free time, Lauren enjoys sleeping, watching Netflix, and making money as a library employee (come say hi to her in Bass!). Kelly is a first-year in Morse College from downtown Chicago. Prior to editing for the Scope, Kelly helped organize Resonance, a science conference for New Haven high schoolers. Outside of YSM, Kelly spends her time teaching science in bilingual classrooms through Demos, leading dance classes for children at Yale-New Haven Hospital through Peristalsis, and writing for the Yale Global Health Review. She can be found in the dining hall mixing hot chocolate with coffee, falling down an internet webhole about some obscure branch of science, or walking up and down (and up and down) science hill. Georgia, hailing from our nation’s capital, is a first-year in Benjamin Franklin college. As a prospective Cognitive Science major, she is especially interested in differential psychology and the genes that underlie it. She looks forward to getting involved in research at Yale’s Comparative Cognition Lab in the coming semester. In her free time she enjoys baking, psychoanalyzing her loved ones, complaining about Washington DC’s lack of voting representation in Congress, and mainlining coffee. Isabella is a first year from North Carolina in Jonathan Edwards College. 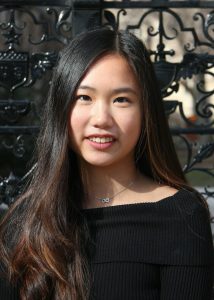 She is interested in biology and chemistry and hopes to pursue a career that combines scientific research and medicine. 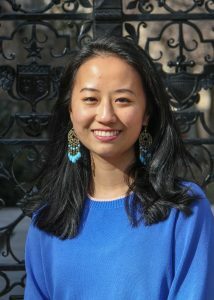 Outside of Yale Scientific, she is involved with the Yale Daily News, the Asian American Students Alliance, and Negative Space, an Asian American oral history project. Previously, she helped organize Resonance, Synapse’s STEM conference for high schoolers. She is an avid fan of Game of Thrones and The Bachelor. 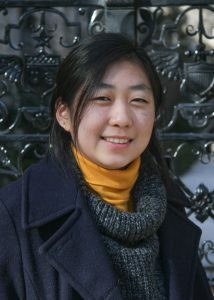 Xiao is a first-year in Benjamin Franklin College from Central Massachusetts. She is a prospective Chemical Engineering major. 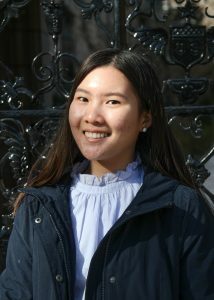 Outside of YSM, she is a Community Outreach Coordinator for Yale UNICEF, volunteers with First-Years in Service, and is a Graduate Outreach Fellow for Dwight Hall. Her other interests include going on long runs, listening to podcasts, and hoarding awake chocolates. 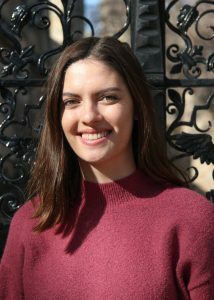 Mafalda is a first year in Benjamin Franklin college and is a prospective Molecular, Cellular, and Developmental Biology and History of Science, Medicine, and Public Health double major. 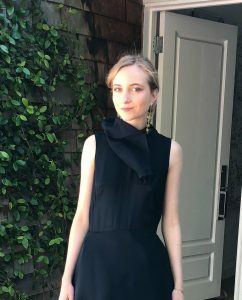 She is originally from Berlin, Germany but currently lives in California where she first discovered her love for science working in a lab that was looking for bio markers for the increased risk of Colon cancer as it relates to alcohol abuse. She has also helped organize an annual fundraising concert called Chord2Cure which supports pediatric cancer research. Outside of science and spending far too much time laughing at chemistry memes, she enjoys playing the cello as well as writing and performing spoken word poetry with the lovely on campus group Teeth. Maria (MC ’22) is a first-year and prospective Molecular, Cellular and Developmental Biology major from Irvine, California. She loves to combine her passion for science and creative design when working for YSM. 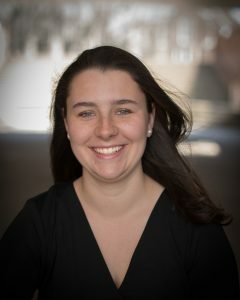 She is also involved with the Yale Undergraduate Research Association and enjoys studying molecular genetics associated with autosomal recessive eye diseases. Outside of academics, Maria sings as part of an all-female a cappella group called The New Blue, and she learns to play the guitar in her free time! Ivory Fu is a sophomore in Pauli Murray College from New York City double majoring in Molecular, Cellular, and Developmental Biology and Art. 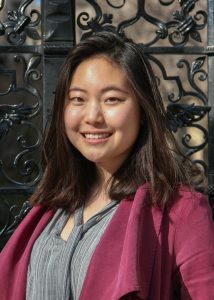 She currently works at the Yale University Art Gallery as a gallery guide, serves as co-social chair of the Chinese American Students Association, helps lead Design for America, designs for a variety of publications, and works at the Alzheimer’s Disease Research Institute. Her other interests include hiking, hip hop dancing, and warm matcha lattes. Kate Kelly is a first-year in Morse college studying Molecular, Cellular, and Developmental Biology. She has worked in many areas of YSM this year, in layout, photography, and Synapse, and those who were at Resonance may know her as “The Shark Girl” or “the one who gave gummy sharks to highschoolers”. In her free time, Kate can be found editing too many photos on photoshop, talking about her pet chickens to anyone who will still listen, and watching Blue Planet II for the millionth time because she loves the sound of David Attenborough’s voice. 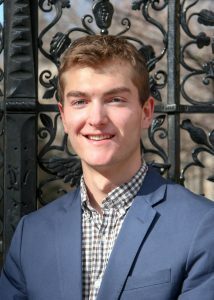 Matt is a first-year in Morse College from Briarcliff Manor, New York. He is a prospective Statistics and Data Science major with interests in neuroscience and artificial intelligence. He will be conducting research on schizophrenia in Tyrone Cannon’s lab over the summer. 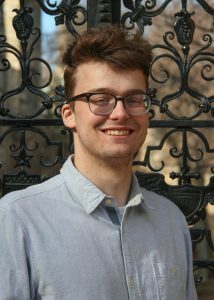 Outside of YSM, Matt plays the sousaphone for the Yale Precision Marching Band and competes on the club swimming team. He enjoys playing ping pong, Pokemon Go, and his suite’s Wii in his downtime. 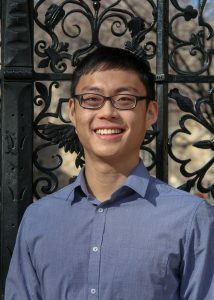 Richard Li (MY ‘20) is a first-year in Pauli Murray College and a potential Physics major. 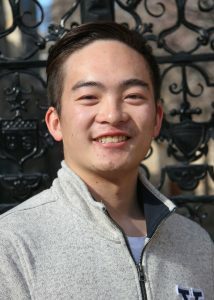 He is a First-Year Liaison on the International Student Organization, a cook for Y Pop-Up, and plays on the Yale Table Tennis Team (yep, you heard that right–there really is a table tennis team). In his free time, he enjoys playing soccer with his friends, watching random Youtube Videos, and trying to learn the guitar. Ali is a first year majoring in Biomedical Engineering and contemplating a double major in economics! She has previously written articles for YSM, works for Simplex Sciences, a biotech company on campus, and plays club soccer. She is really passionate about science research, having spent three years creating predictive trajectories for neurodegenerative diseases and is excited to grow the readership of the magazine. Tony is a first-year in Ezra Stiles College from Tampa, FL and a current prospective pre-med student and Biomedical Engineering major. He enjoys participating in various activities outside of school, such as working in the lab and being involved with DanceWorks and St. Thomas More Church. In his free time, he enjoys traveling, watching movies, reading, and jamming out with the boys at 2AM in his suite. 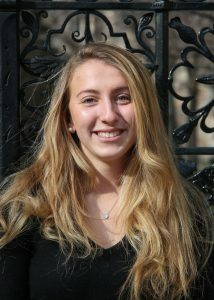 Annie is a sophomore in Berkeley College from New York City studying Chemistry. Outside of YSM, she enjoys playing club badminton, volunteering with HAPPY, and planning events with the YCC events committee. She is currently doing research at the Neugebauer Lab where she is investigating cajal body formation. 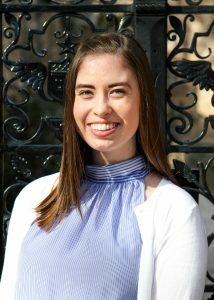 During her sparse free time, she can be found searching for cute coffee shops, bullet-journaling, and playing the piano in the Berkeley common room while waiting for the dining hall to open for dinner. Sebastian is a first-year in Jonathan Edwards College and is a prospective Physics and Economics double major. Besides YSM, he is a coach for Mathcounts, a member of the Design for America Landscape Lab team, a part of the YUAA Rover Swarm Mechanical team, a researcher in astrophysics, and a student. Outside of school and YSM, he enjoys sleeping, eating, playing in the snow, running, having philosophical discussions with his friends, building Legos, writing stories, hanging out with his dog, and making tearable puns that can make you cry. 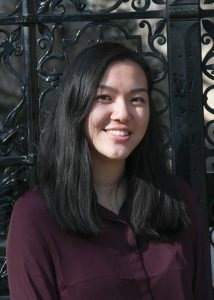 Leslie is a sophomore from Los Angeles, California in Jonathan Edwards College. In addition to writing for Yale Scientific, she loves crafting in YaleMakes, making unique food creations in Yale dining halls, and feeling the adrenaline behind her fencing mask. She enjoys finding the beauty in intersections between science and our everyday lives and wants to share that joy with younger New Haven students through volunteering in Synapse. Lisa is from St. Louis, Missouri, but she previously lived in New Hampshire for five years and is happy to be back on the east coast. When she’s not working and writing for the Yale Scientific, Lisa works for a group that offers legal and social support for patients at Yale-New Haven Hospital and is part of a lab that studies cell death and tissue repair. She’s excited to be on the Synapse team, and she hopes that Yale and greater New Haven community will find the Yale Scientific’s upcoming events fun and engaging. 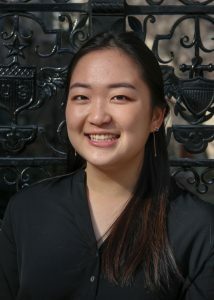 Hannah Ro is a first year in Trumbull College from Orange County, California. 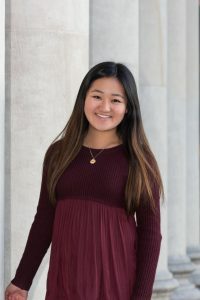 As an on-the-fence pre-med student, she plans on double majoring in Molecular, Cellular, and Developmental Biology and History of Science, Medicine, and Public Health. 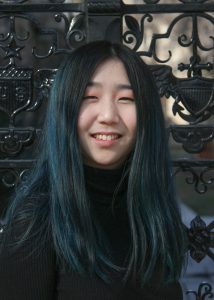 In addition to writing for the YSM, she serves as Secretary of Korean American Students at Yale, volunteers at the Connecticut Hospice, and was the Resonance team’s Director of Operations last year. She prides herself as an occasional golfer or violinist, reader of science fiction, and connoisseur of instant tea bags. 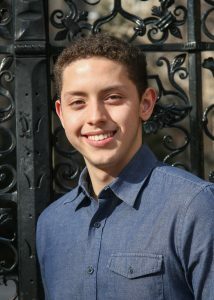 Oscar is a first year in Davenport College and is a prospective Molecular, Cellular and Developmental Biology major. Within YSM he has enjoyed showing the marvels of science and how awesome it is through events like Science on Saturdays and the annual Resonance conference. Outside of classes, Oscar also trains as a member of the Muay Thai Kickboxing Club and provides medical services to underprivileged communities of the world as a member of Volunteers Around the World. In his free time he enjoys reading comics, watching Netflix, and taking relaxing walks around campus. Katherine is a first-year in Ezra Stiles College from the suburbs of NYC and a potential History of Science, Medicine, and Public Health major. After helping organize Resonance, she is super excited to be a part of the Synapse team and to be more deeply involved in giving back to the greater New Haven community through Yale Scientific’s outreach projects. 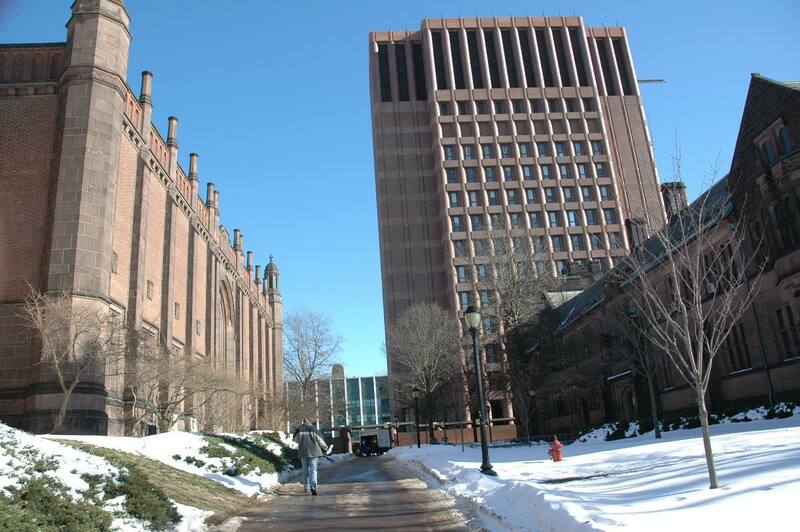 Outside of YSM, she conducts chemical biology research in the Crews lab, performs with Yale Danceworks, and skates with the club figure skating team. In her free time, you can catch her playing the piano, baking, or coffee shop hopping. Chelsea is a first year in Silliman College from Colorado and is a prospective Statistics and Data Science major. She was previously involved with YSM as a Co-director of Programming for Resonance, an annual high school STEM conference hosted by Synapse. She is passionate about engaging the local community with science initiatives and is excited to further her involvement with YSM! Her other interests include exploring local restaurants, napping, and cat memes.